I read this quote the other day and it has sat in the back of my mind since then and it keeps popping into all my thoughts . . . it is haunting me! I started asking myself, "What are the things I think I cannot do?" and W*O*W I started generating this list of things that I have labeled as "can't do" in my brain. But why can't I do them? What is stopping me? . . . it is no big surprise but for some reason it surprised me to say out loud . . . the answer is ME! Loud and clear I realized that it was me; I am telling myself I "can't" do those things. I am my own obstacle, my own 10ft wall. Why am I standing in the way of myself? Why am I blocking myself? Because what if I try and fail? Because what if I try my hardest and fail? Here is the list of things that are sitting with me that I have told myself I can't do . . . When I look at that list and really read it I realize that I CAN do those things. 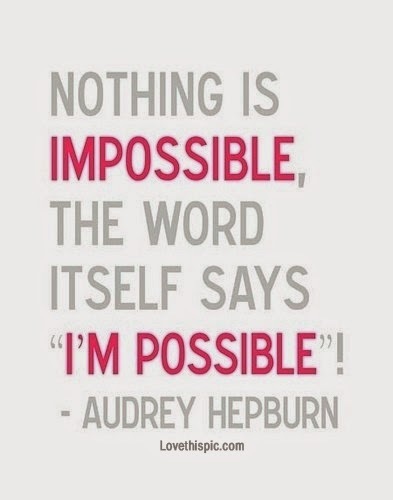 They are not impossible in any way, shape or form. They are all attainable and many women have done way more than this. But I still have a huge fear of failure that stops me. I don't like letting people down, I don't like people rallying for me and then letting them down. The other problem is that I can't seem to narrow things down for #1 and #2 above. What do I want to write a book about? And if I choose something will anyone want to read it? I have no qualifications to say I'm an expert at anything? And what type of business do I want? Designing? Interior decor? Fitness & health? I'm interested in so many things and I am pretty good at most things but no one thing jumps out at me and makes me crazy passionate and I'm not an expert in any one thing either . . . it is frustrating and brings me down a lot. I feel like one day I will be driving to work and my "light bulb" moment will just happen and I will have it! My golden egg, my idea that will steer my path . . . but what if that is not how it happens? What if you just decide to try something that you are sort of interested in and see where that takes you? So many what ifs? I am tired of saying "What if?" . . . 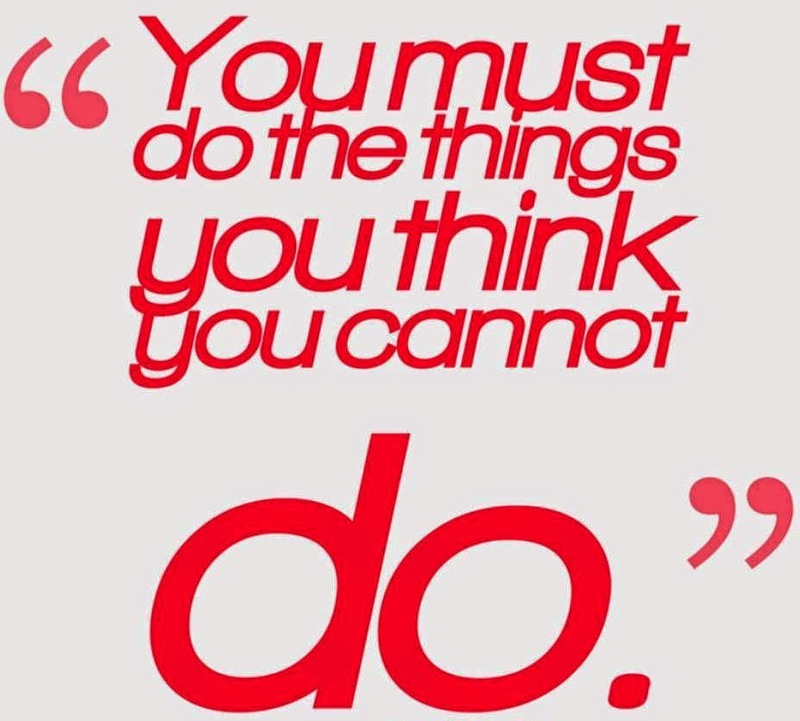 I want do the things that I think I cannot; I want to stop being afraid of failing. I'm going to pick one of the things above that my head tells me I can't do and DO IT.